It all started for Paschalis Dougalis with a rooster, his first sketch at the age of four. Growing up in a small village surrounded by animals, both domestic and wild, he came to appreciate the beauty of nature early on. 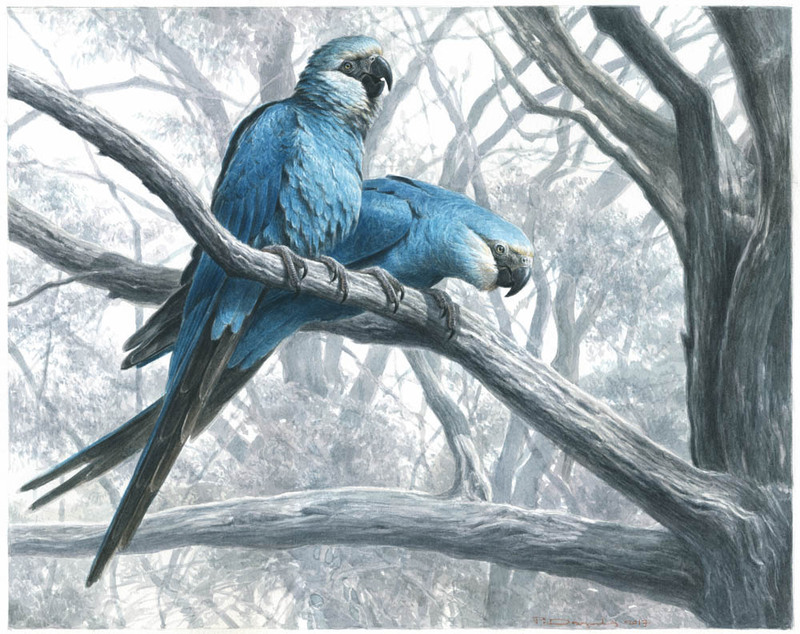 This appreciation has extended through both his personal and professional lives, including establishing himself as an award-winning nature artist. He originally went to school for theology to paint religious icons but abandoned this, in part thanks to a guide to English birds that inspired him artistically. Paschalis works primarily in watercolor and gouache. Paschalis aims to not only capture the representation of a species in each piece but also to imbue each one with its own personality and life. He describes art as his personal interpretation of life and is trying to be as true as possible to every life form.